There is no reason to have to choose between gold and silver in your holiday decor. 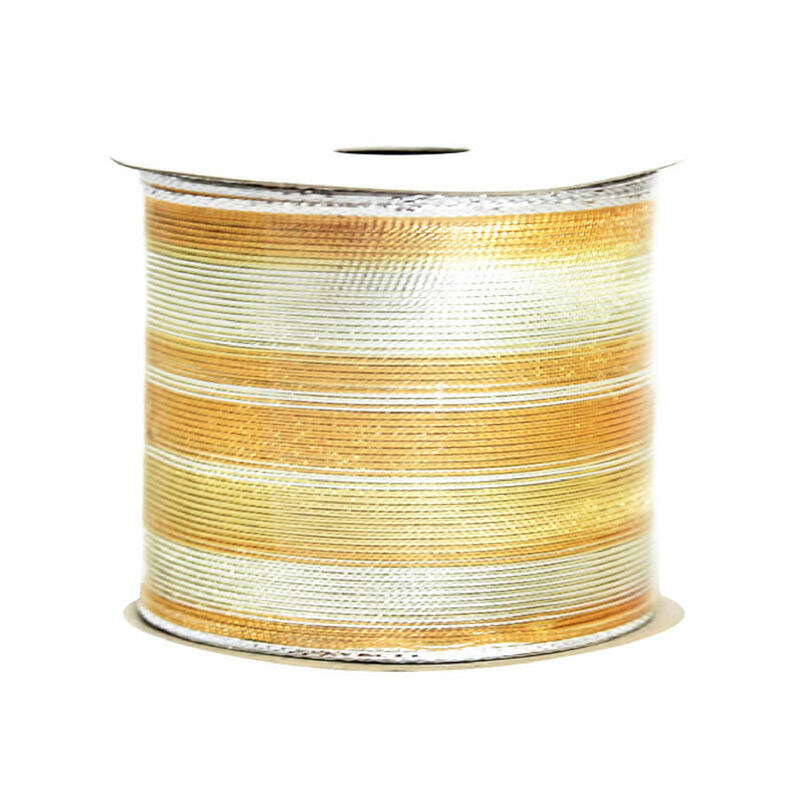 This Two Tone Gold Woven Ribbon offers shoppers nine full metres of quality ribbon that embraces both gold and silver tones to coordinate and complement your themes, displays, and decorations. 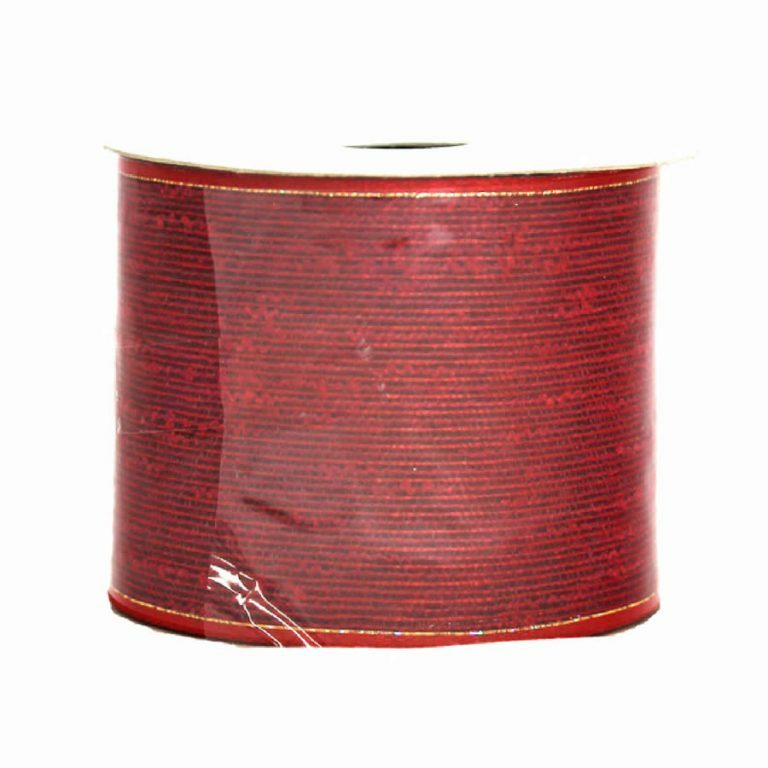 Each spool of ribbon is approximately 7cm in width, so bows and trims are fuller and more beautiful. The elite wire edging allows the ribbon to take shape and become the creations that you envision. 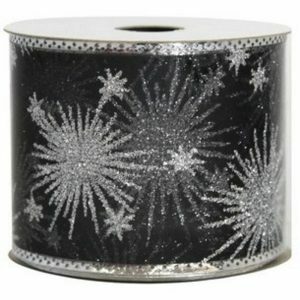 This fantastic ribbon is elegant and simple, yet so easy to work with and convenient for many occasions. 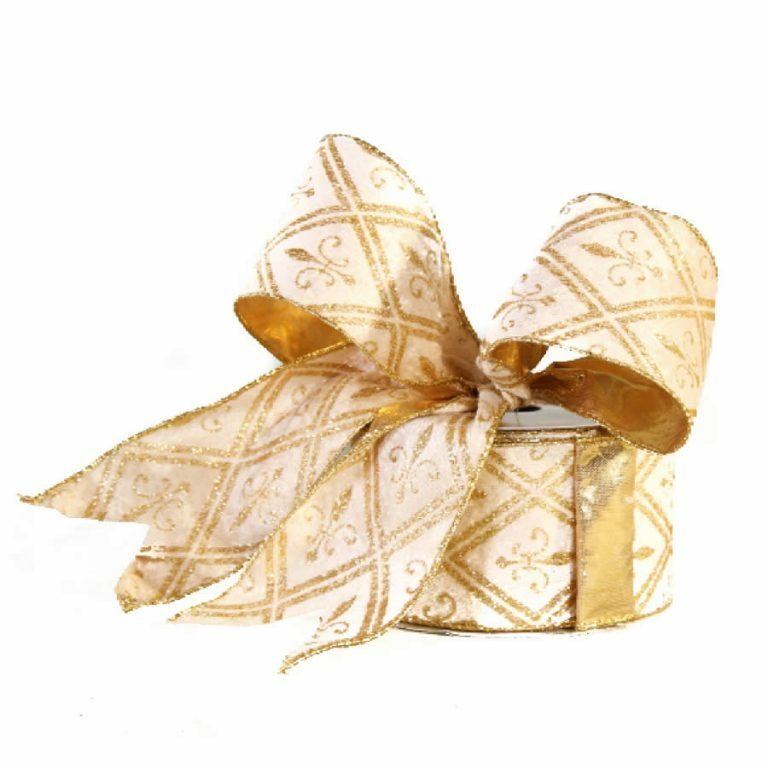 Whether looking to wrap gifts in a distinctive, captivating manner, or if you want to trim a tree or holiday wreath, this ribbon is a must-have item for anyone who enjoys putting their personal touch on the holiday.